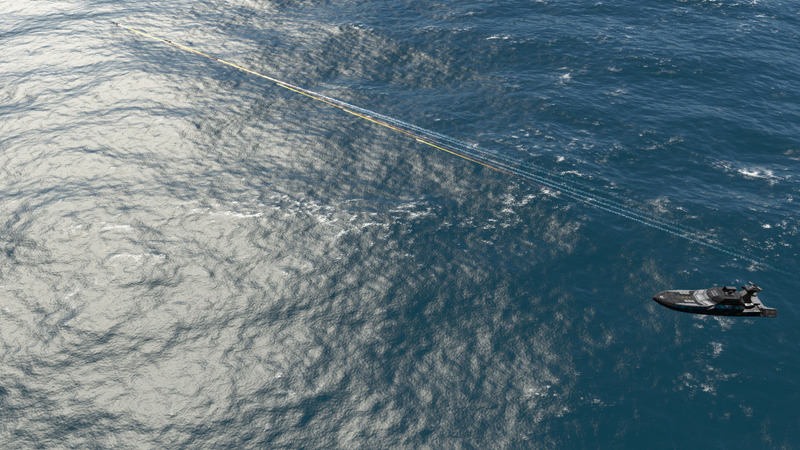 Begone is the old water, the new one actually has waves! 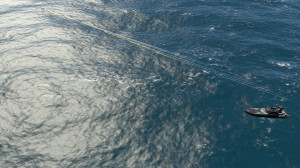 The water will require some work on the shader still, it’s not quite what we want yet. 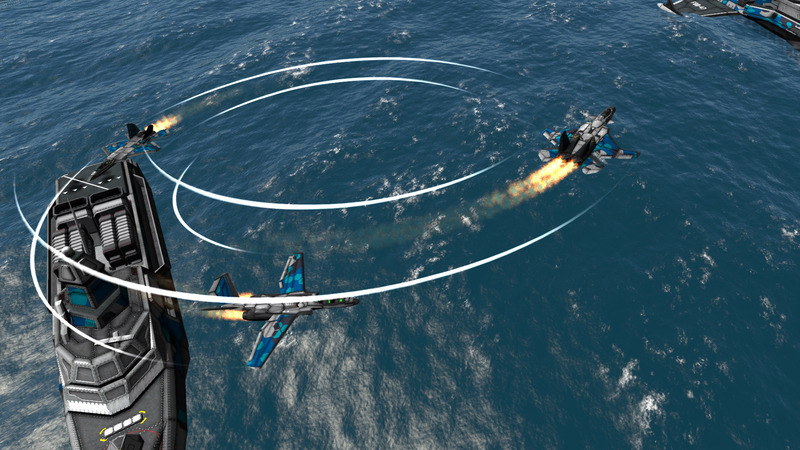 Aircraft work for the most part, hey fly, fire, and explode nicely. Can’t land yet though. 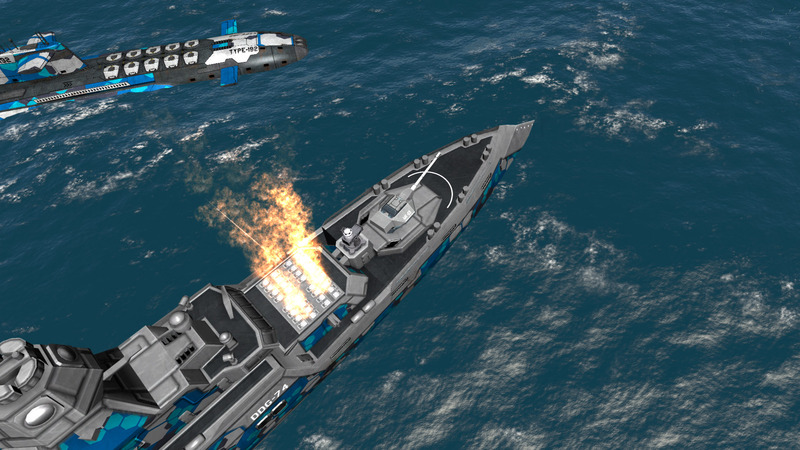 Added several new ships, and gave the Fast Attack Craft another makeover, textured the Resupply Vessel, and the TDN’s Airforce is almost complete, only missing an attack helicopter of sorts, to attack ground installations. 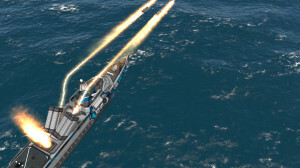 The Fast Battleship is specialized for long range combat. 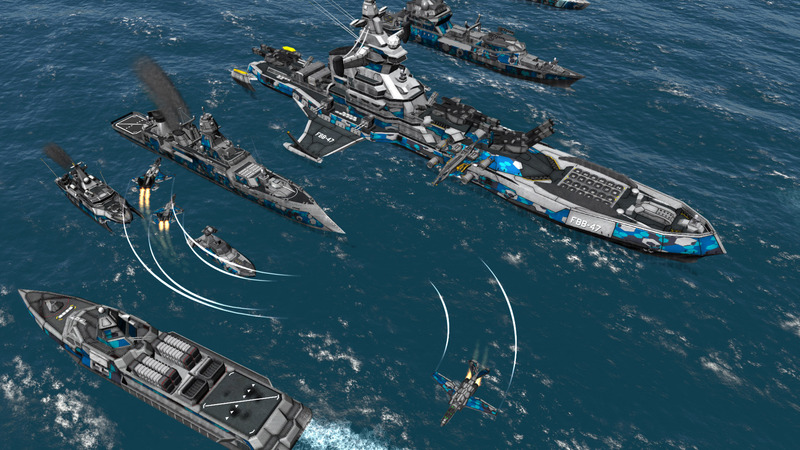 Fast Battleships sacrifice armor in favor of greater speed and mobility. 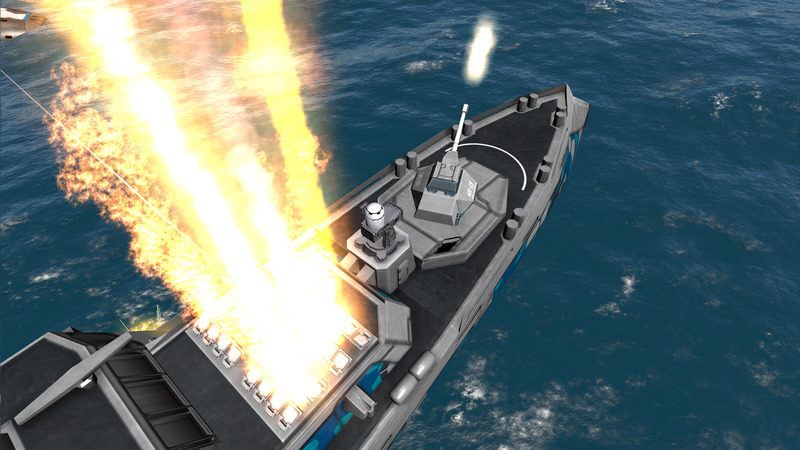 The greatly reduced reliance on chemical propellants also allows for a lighter citadel design, since the main guns don’t require propellant, allowing for smaller powder magazines. 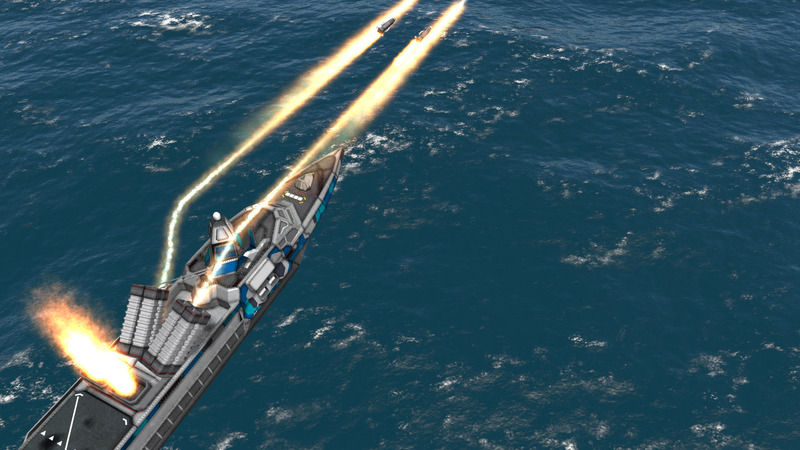 Its Mjolnir missiles are very powerful against large and capital ships, but are likely to miss smaller, more agile vessels like the Hydrofoil and the Fast Attack Craft. 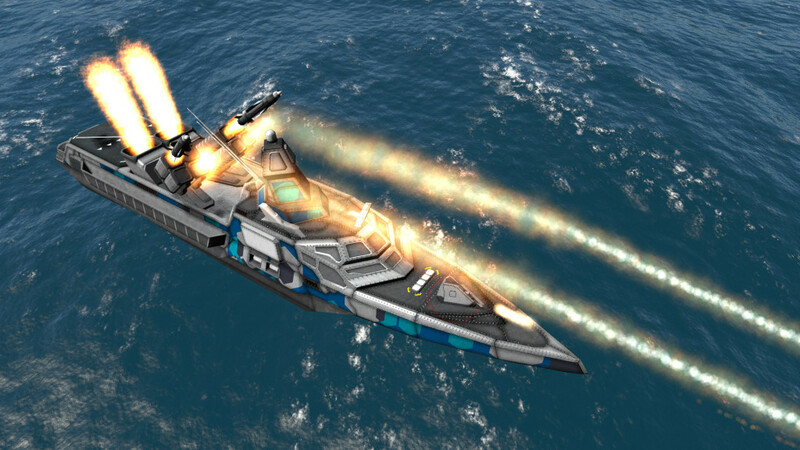 The Hydrofoil’s primary purpose is that of a scout, as well as Air Defense. 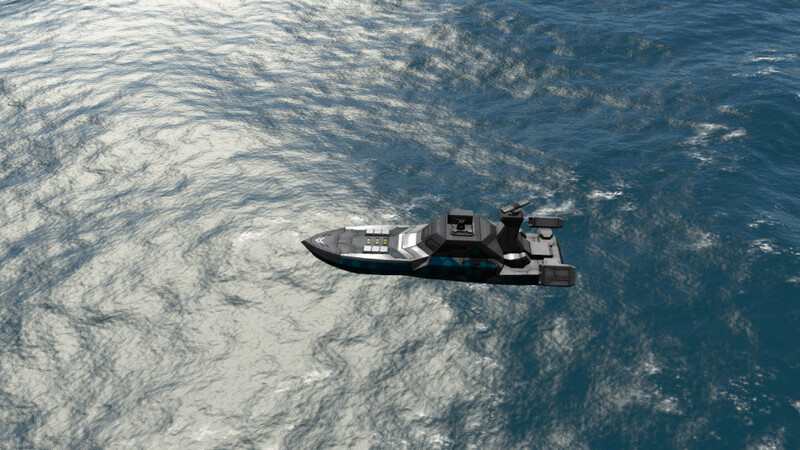 It has very little armor, but is very fast since it’s propelled by 4 turbojets in 2 swiveling pods in the back of the craft. Long Range anti-ship artillery. The Supersonic missiles the Frigate fires have very poor tracking, as such they are not very useful against small ships, as they are likely to miss. 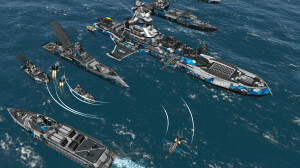 They’re best used against Medium, Large and Capital ships. Very weak armor, but it’s one of the fastest TDN units. 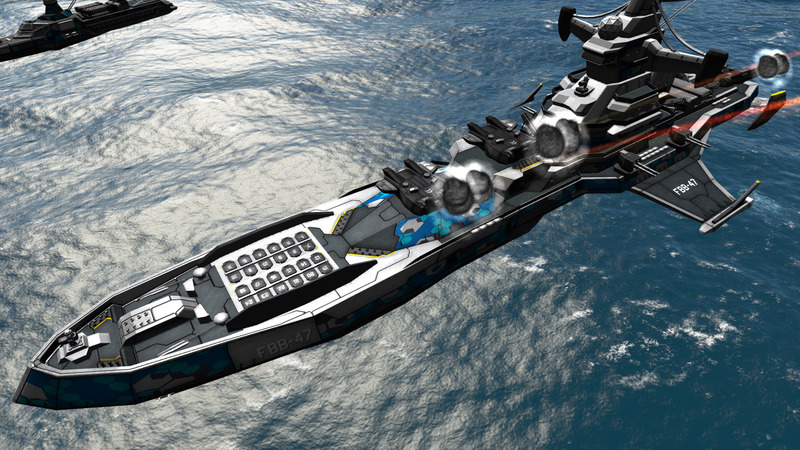 Has a Helipad that can support a single Helicopter or VTOL. That’s it for the units, but not for the update.